Do you want to know about types of aeronautical engineering jobs for Freshers in India? Aeronautical engineering is a shining star among the engineering disciplines but the aeronautical engineering industry is in its early stages in India. Now, a lot of aerospace engineering companies are rising up and along with it aeronautical engineering job for freshers are also emerging in India. Aeronautical engineers are mainly trained for the detailed design of aircraft but that sector has no depth to accommodate the all engineers passing out every year. 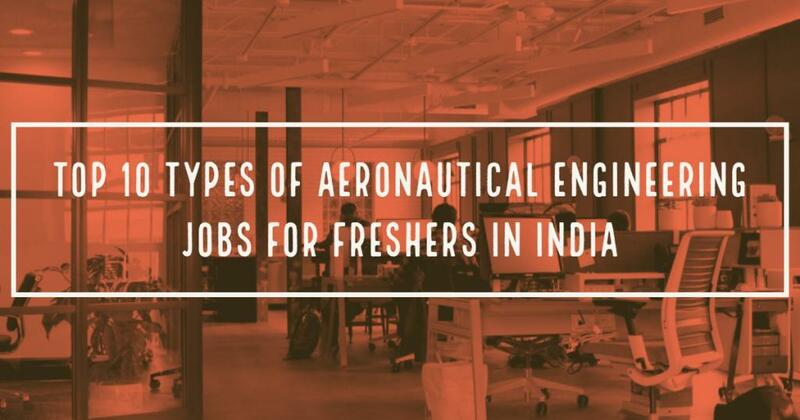 One of the best options for the aeronautical engineering freshers is government sector jobs like Airforce, Indian Navy, Jobs in public sector companies like HAL, DRDO, ISRO etc. and new startup companies. The experts all over the world are predicting a glorious future for the Indian aeronautical industry in future. Today’s startups will be the global leaders of this industry in future aeronautical industry. The main problem facing the aeronautical engineering freshers is the lack of vacancies in this public sector companies. Organisations like ISRO is preferring candidates from Indian Institute of Science and Technology (IIST) and IITs to find the best engineers of their projects. Indian Airforce is conducting yearly recruitment for aeronautical engineering jobs. Indian Airforce Tests includes a written test, Physical fitness test, Interview and Medical Examination. Airforce will conduct recruitment for ground duty technical and nontechnical branch each year Aeronautical engineering freshers can apply for the ground duty technical branch. Public sector companies like HAL, NAL, Bhramos Aerospace, DRDO are also conducting public entrance examination for recruiting aeronautical engineering freshers. Along with the permanent jobs, companies like HAL and NAL are offering one or two-year training and internship for aeronautical engineering freshers. This internship certification will be considered as the experience certificate for all over India. Design Engineer is another aeronautical engineering job for freshers. Design engineer involves in designing of aerospace components and mechanisms using designing software like Autocad, Catia, Solid works etc. An aeronautical design engineer should have excellent knowledge in aircraft structures, Sold Mechanics, Kinematics of Machines etc. An aeronautical engineer not only can design aerospace components but also they can design all kind of mechanical components. This is a good opportunity for aeronautical engineering freshers those who are interested in designing and R&D sector. Analysis of the designed aerospace component is one of the aeronautical engineering jobs for freshers. This sector includes structural, Thermal, Finite element analysis. Predating the failure and performance of the component in the flying vehicles as well as other machines are the core objective of this job. An analysis engineer will use tools like Ansys, Abaqus Unified FEA, COMSOL Multiphysics etc. Some design software like Catia, Solid works also providing some basic analysis tools. An aeronautical engineer in this field should have good knowledge in Fluid dynamics, Aerodynamics, aircraft structures etc. Avionics is the best field for the aeronautical engineers those who are interested in electronics side of an aircraft. This field deals with design and development of avionics components in aircraft and space crafts. An aeronautical engineer who wishes to take this as a career should have good knowledge about microprocessors, Microcontrollers and other important electronics tools like weather equipment’s, control systems, Aircrafts batteries, digital electronics, Communication and Navigation systems etc. Technical Author or technical content writer involves in creating manuals for aircraft engines and other components. A technical author should have technical knowledge as well as some writing skills. Technical content writers are responsible for giving a detailed and simple description of the complex aircraft’s system to the end users. Technical content writing job one of the good job opportunity for aeronautical engineering freshers. An aircraft maintenance engineer is required to maintaining aircraft in airlines. Now many of the major companies having their own private jets and aircraft so maintain this expensive vehicle require good technicians and engineers and as per the guides of authorities like DGCA and FAA the servicing aircraft of airline companies should go through routine checkups after each flight. An aircraft maintenance engineer is responsible for the regular repair and inspection of aircraft. This job requires the good knowledge about aircraft structures, Sheet metal construction and inspection, Composite Materials, Aircraft Systems like fluid power system, landing gear system, Fuel systems and Auxiliary systems like fire protection, Ice protection system, Rain removal, Water and waste systems etc. These systems in aircraft is necessary for maintaining the safety of the aircraft while flying. 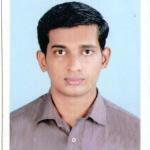 Non Destructive Testing Technician is a job one of the good opportunity for aeronautical engineering freshers. This job requires a good knowledge of different types of Non-Destructive Testing and type of defects that can happen to aircraft structural and engine components. Most of the companies will prefer candidates with NDT certification, An aerospace engineering graduate can study and get certified in NDT after their graduation. Many companies are offering engine overhauling, routine services, and engine testing. These companies require NDT testing for close and accurate examination of complicated engine parts. A quality control engineer is responsible for the maintaining the quality standard of a product. An aeronautical engineer can choose the career as a quality controller of aeronautical components. Many companies require their own quality controller and some companies are providing quality control services to main scale companies. These companies also require certified quality control engineers. Aeronautical engineering fresher can find study certification course after their engineering degree. Unmanned flying vehicles are required in many sectors like oil and gas, land survey, Monitoring, now it starts using in delivery services of e-commerce sites. For talented aeronautical engineering, freshers can find a good career in this field. Many companies like Amazon, Facebook are developing their own unmanned flying vehicle technology and a lot of startup companies are there for giving this services. An aeronautical engineering fresher with good knowledge in designing of flying vehicles and electronics of flying vehicles like microcontrollers can find this job. Unmanned system engineer is one of the best jobs for aeronautical engineering fresher. As I said earlier aeronautical engineering is a future bright field, we should calculate the career opportunities by considering the current trends in the research and developments. One of the important fields of current research is in the field of automation. In the future automated flying vehicle is going to handle many tasks. With the help of sensors and other electronics systems auto guided aircraft and small autonomous flying vehicles will make the future world easier. Another great field of research is in space research and colonizing other planets. The scope of aeronautical engineering is very vast in this area. NASA is planning to send a helicopter to the planet Mars for exploring its hilly areas, the land rover ‘Opportunity’ was exploring Mars surface for last 14 years but is not capable to explore hilly and mountains in mars. These missions are giving clues to the future job opportunities for aeronautical engineers. Aeronautical students should aware of this kind research and follow this research trends to understand the present and future jobs in the industry and grab the golden opportunities. Great Post! This is the best site to get valuable information about Aerospace Engineering. Thanx for sharing this informative post. I have read all the post and really found them interesting. I truly appreciate the information shared in this post.